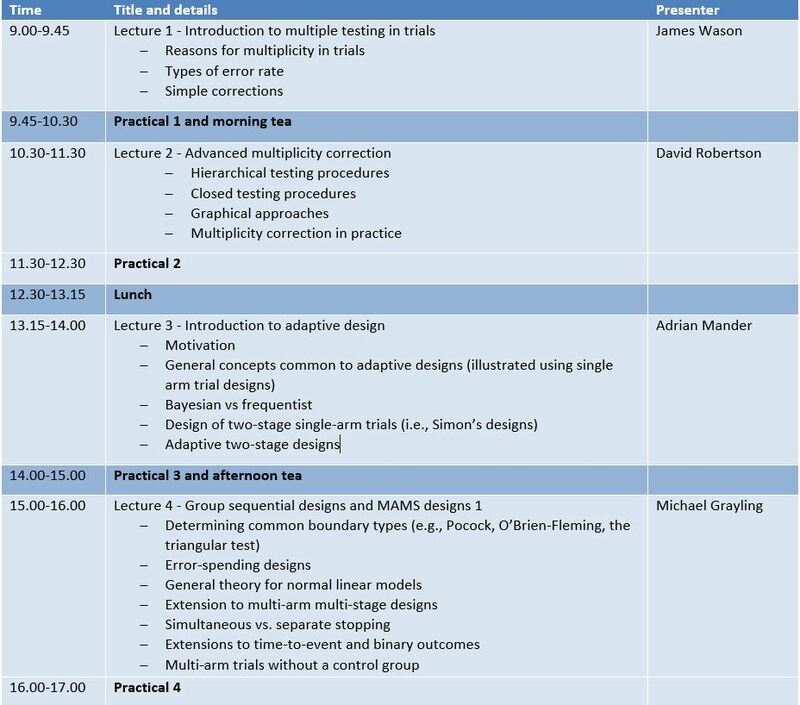 Join ACTA for a two-day intensive workshop (21-22 Feb 2019) where you will take away the knowledge and practical skills that are fundamental for designing adaptive clinical trials. You will get hands-on experience in applying cutting edge methods and numerical simulations using R and/or STATA. 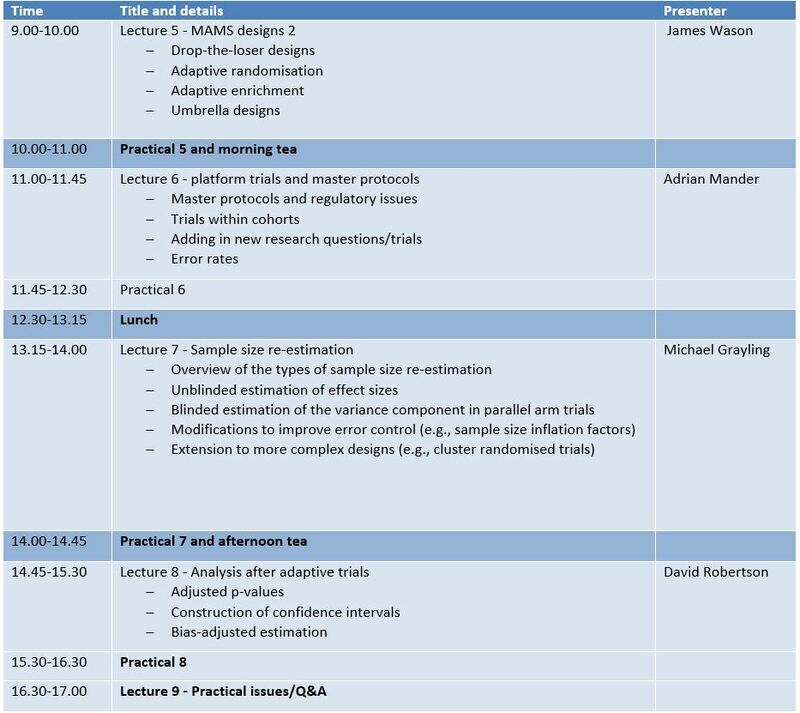 ACTA and ViCBiostat are thrilled to welcome expert presenters from the University of Cambridge: James Wason, Adrian Mander, David Robertson and Newcastle University (UK) Michael Grayling.